Curly leaf style black tea with some gold tips, certified USDA organic. Only the bud and first leaf are used. The flavor profile is characterized by light, honeyed peach notes, and a lack of astringency. Legend holds that because the tea grows in precipitous mountain peaks, it was difficult to pluck so local people trained monkeys to harvest the tea leaves. 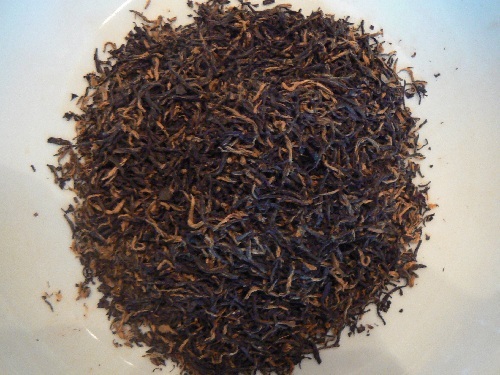 Golden Monkey tea is a black tea counterpart of Bai Hao Silver Needle white tea.